Francisco Fullana | The Chamber Music Society of Lincoln Center. 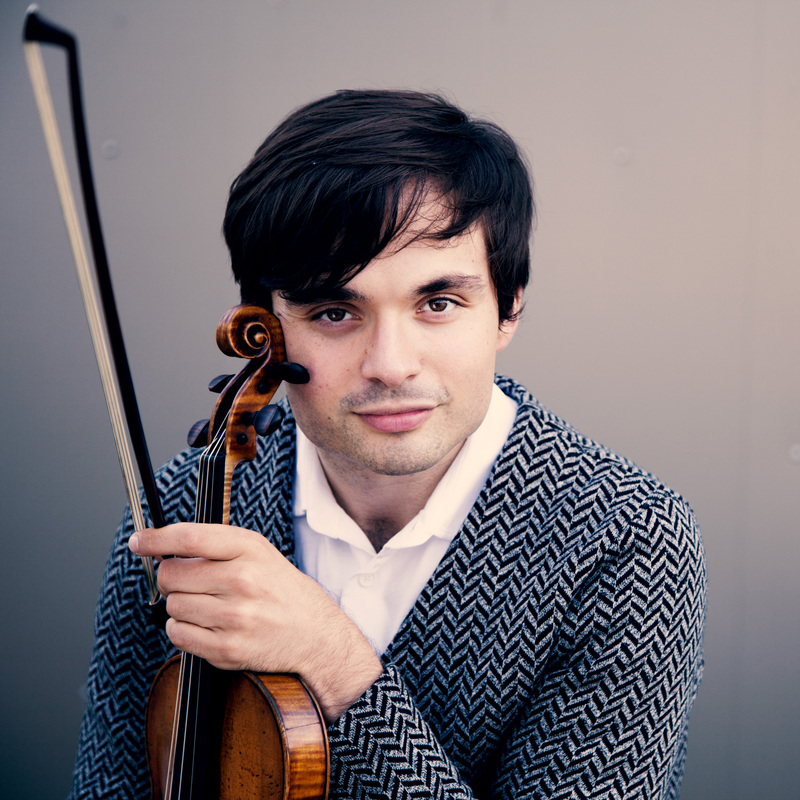 Spanish-born violinist Francisco Fullana has been hailed as a “rising star” (BBC Music Magazine) and “a paragon of delicacy” (San Francisco Classical Voice). Winner of a 2018 Avery Fisher Career Grant, he made his Carnegie Hall debut in 2016. He has performed as soloist with numerous orchestras including the Bayerische Philharmonie, the Münchner Rundfunkorchester, Venezuela’s Teresa Careño Orchestra, the Buffalo Philharmonic Orchestra, the Spanish Radio Television Orchestra, the City of Birmingham Symphony Orchestra, and the Vancouver, Pacific, Alabama, Maryland, and Madrid symphony orchestras. Active as a chamber musician, he joined The Bowers Program (formerly CMS Two) in fall 2018. He has participated in the Marlboro, Music@Menlo, Mainly Mozart, Music in the Vineyards, and Newport music festivals. In March 2018, Orchid Classics released his recording Through the Lens of Time, which includes Max Richter’s 2012 composition The Four Seasons Recomposed—performed with the City of Birmingham Symphony Orchestra—as well as contemporary solo works for violin. Mr. Fullana received bachelor’s and master’s degrees from The Juilliard School and holds an Artist Diploma from the USC Thornton School of Music, where he worked with the renowned violinist Midori. He currently performs on the 1735 “Mary Portman” ex-Kreisler Guarneri del Gesù violin, kindly on loan from Clement and Karen Arrison through the Stradivari Society of Chicago.